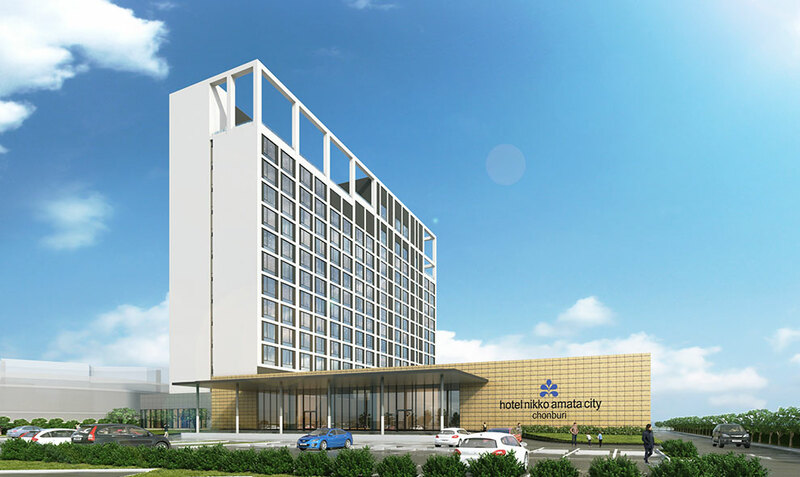 Hotel Nikko Amata City Chonburi will be located in Amata City Chonburi Industrial Estate, around 60kms southeast of Bangkok. AMATA City Chonburi already hosts about 750 international companies. These include around 450 Japanese enterprises, mostly automobile component manufacturers and steel and plastic processing firms, the largest concentration of Japanese companies outside of Japan. The hotel will offer around 250 guest rooms each with an area of about 32 m². Guests are likely to comprise mostly business travelers visiting AMATA City Chonburi and those making use of golfing facilities at the nearby Amata Spring Country Club. They will be able to enjoy a wide range of food and beverage offerings, including Japanese cuisine and all-day dining. Restaurant and banqueting facilities will cater additionally to business users and will include a banquet hall that local companies will be able to use for a variety of functions. The hotel will also offer a gym and a public bath.